Would you like to explore part of the Wolli Creek Valley? 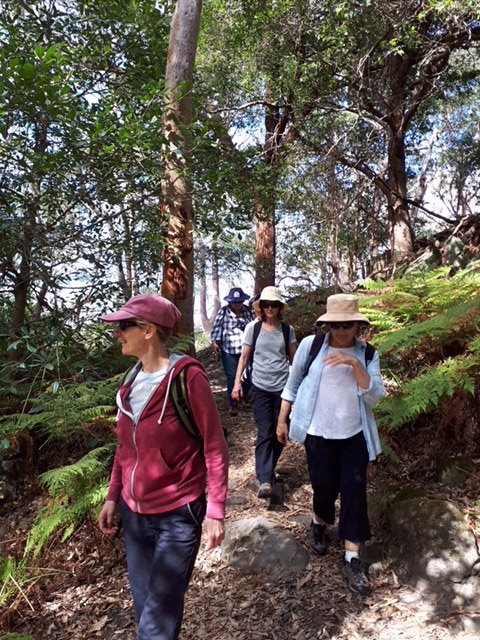 Then join us for a leisurely Sunday morning bush walk in a remarkable natural part of Sydney’s inner south west, and find out more. We are running two guided walks during the cooler months. The walks will traverse part of the Two Valley Trail (TVT), which in its entirety is a 13 km walk along the Wolli Creek and Cooks River Valleys. PLEASE NOTE: The Sunday April 8 walk is now booked out. Further guided walks are planned for Sunday June 3 (see below), as well as Sunday July 22 and Sunday October 21. The July and October walks will be full Valley walks from Bexley North through to Tempe. More information will be posted about these walks closer to the dates. On Sunday 3 June we will walk from near Bexley Rd, Bexley North to Turrella. Registration is essential. The walks are free to Wolli Creek Society members (Membership is $10 pa for an individual & $15 for a family/household.) By arrangement, you can join on the day, however as numbers are limited preference will be given to those who have joined ahead of the day. Details about where to meet, and further walk information will be provided upon registration. Please advise us before we start of any restrictions on your mobility or anything else we might reasonably need to know to ensure your safety. Please bring plenty of water and a snack. Much of our walk will be well shaded, but a broad-brimmed hat may still be advisable.